You have now entered the back room. The secret stash. The hidden gems and special sauce. We're thrilled to have you as a subscriber to the Stoked Digital Experience. Here you'll have unlimited access to tools, tips, leadership tactics, mindsets, stories and spiritual guidance as we go on this journey together. Did we mention stories? Yes, we are going to tell lots of stories here and we are going to write some together as we go along. *This is a non-functional prototype just to give you a sense of what a custom curated Cigna experience would look like. Some buttons work and some are just there to give you a feel. Want all these magic goodies in your inbox? Signed, Sealed, Delivered. A Digital Introduction to Human -Centered Design. This is our introduction to Design Thinking, or Human-Centered Design, we call a DP0. It's often the very first design cycle we run with new partners to get our feet wet together. We recommend you start here. Before you begin the video, download the booklet that goes along with it here and get prepared before beginning. Grab a coffee! Take 60 seconds and take a few deep breathes. Relax. Need some creative inspiration to get out of a rut? Check out this episode of our monthly podcast, Reframe. Every episode we produce is designed to inspire, educate and generally motive all of us to keep being curious and seeing the world in new ways. Special thanks this month to Matt Urmy, Jason Myers & Jennifer Justus for being guests on the show! Special thanks to Scott Doorley & Adam Royalty for their help! All design starts with empathy. It's vital in gaining the perspective of your end user, which is where all great design work begins. To help you along, we've created these index card packs to get the questions flowing. Download the PDF, print these babies out on some card stock and you're in business! Feeling like an Empathy Ninja now? Take our 30 Day Empathy Challenge! 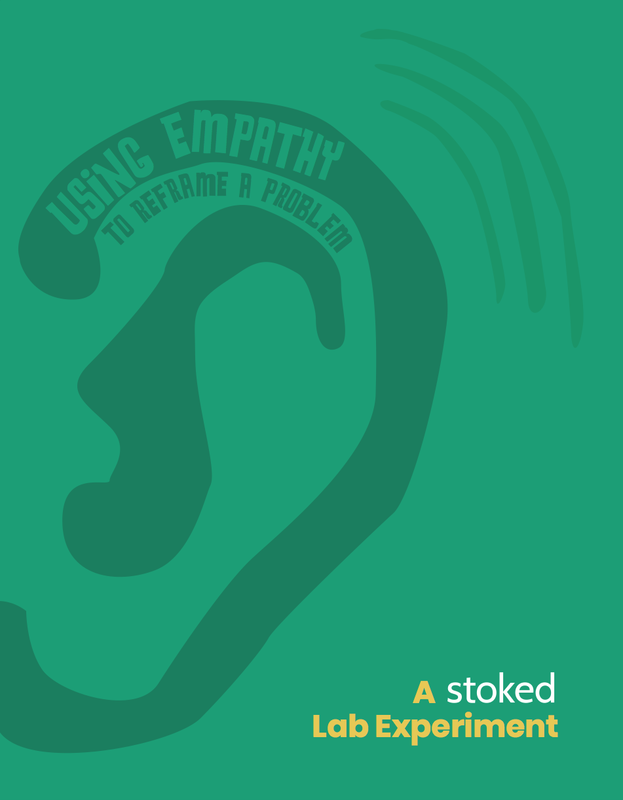 Using Empathy to reframe a problem. We now take a break from our regularly scheduled program, for a few hits of inspiration. Watch an exercise we practice when we're feeling stuck. It usually starts with getting in the car and hitting the gas. 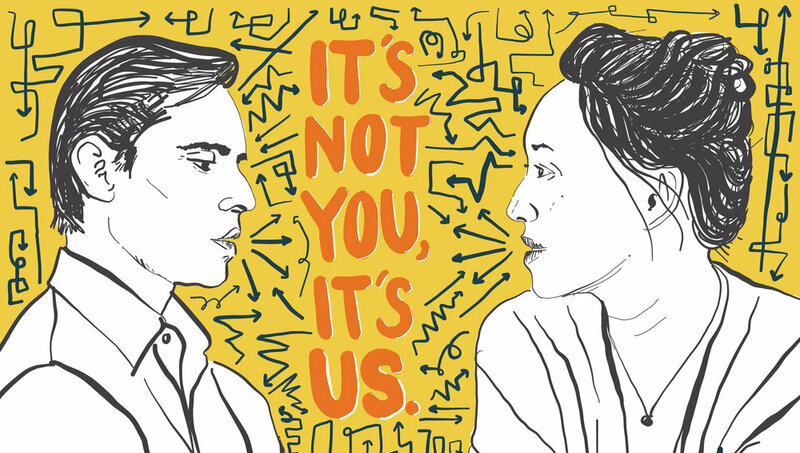 3 causes of relationship ruts that squander growth and personal freedom. This month, Parker Gates writes about how culture both shows up and is spread (like wildfire) in meetings. 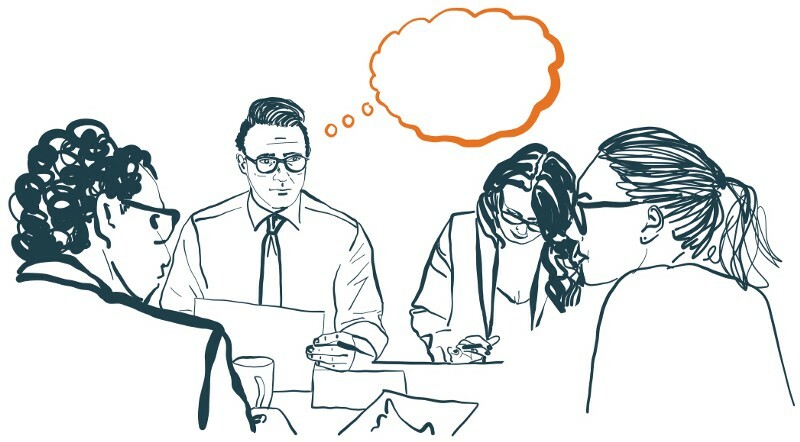 He goes into the mind of a new hire to show us what it looks like to be intentional about our behavior in meetings and how we can have a positive impact on our culture just by being fully present. 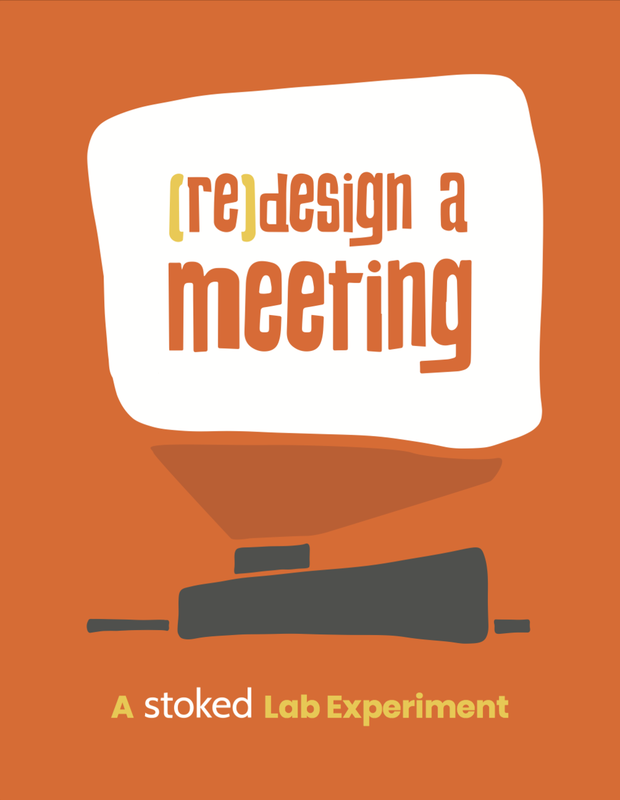 Feeling inspired to change the way you hold meetings with your team? Try using Human-Centered Design to re-design one from the ground up. We've made this handy guide for just that. Print a few out, put them together and collaborate with your fellow designers to make it happen. Ok, we've been working pretty hard. Let's see what happens below when we try doing nothing at all. More spiritual guidance on being awesome. Here is something to try: reflect as a group with your team the moment a work day with clients or a design cycle is finished. This helps in a lot of amazing ways and here is how we do it. So, the question I often wrestle with and have from time to time for the majority of my life is… with such a limited amount of time on Earth, why spend any time at all doing something as trivial as going to work? The culture you build with your team may be your biggest asset. Here is why. Practicing Human-Centered Design in a culture that's not quite ready for it can be tough. Here are some pointers and thoughts on keeping the fire alive while hopefully creating some real culture shifts, wherever it is you work. Here are some other stories that are currently inspiring us. Not all are our clients. Some are people who believe, as we do, that the principles of human-centered design can change the world, one answer at a time, if we only take the time to reframe how we think and understand others. Have one? Want to write a new one? Let’s do it. What Would You Say to Yourself in Five Years? Scott Witthoft is a design educator at the d. school at Stanford, a product designer and writer. He is the co-author of the book Make Space, which is incredible. Yusuke ("Use-K") Miyashita | Design Manager, SPARK Innovation Group at GoPro, talks about some big fails and what they taught him. Watch how others are intentionally designing their lives, both in and outside the "office". Parker Gates & Anna Love-Mickelson travel to Hong Kong to talk life, work and the pursuit of happiness. You know, the good stuff. This is Emily Roley. For the last couple of years, life for Emily has sounded like a river, cutting through the high desert, with the sound of her fly line slicing the air. Greg Celentano moved his family out west to chase a new kind of California gold rush. This is a story of doing what you love, against high stakes. Some of our favorite Human-Centered Design outcomes. These stories just might fill your heart and spin your brain in the direction of real innovation. How a Non-profit is Using Human-Centered Design to Transform the Child Welfare System. Using Human-Centered Design in Higher Education. This is an interview with Mark Blegen PH.D., Dean of Health Sciences at St. Catherine University. This is the story of Mark implementing Human-Centered Design in his classroom. Using Human-Centered Design to Better Serve Schools. This is an interview with Dean Kephart from Serve Minnesota, an organization working with Americorps to service education initiatives in the state. This is the story of how Dean and his team used Human-Centered Design to discover a key need for the children in the school district they were trying to better serve.